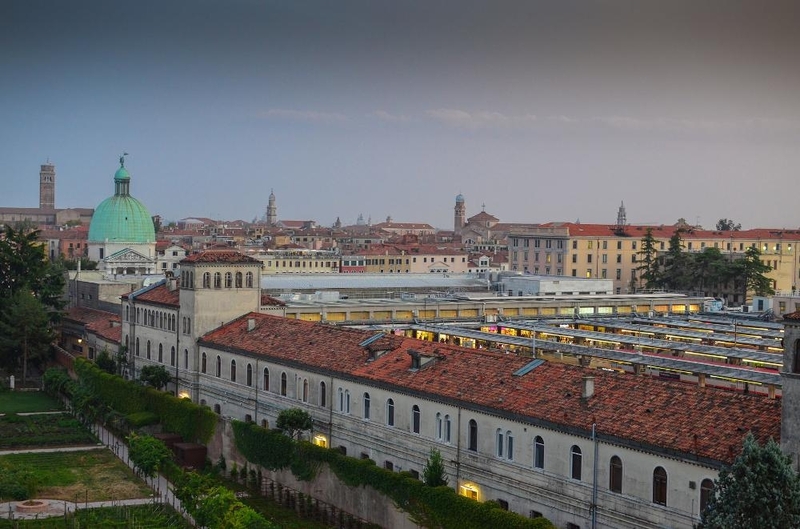 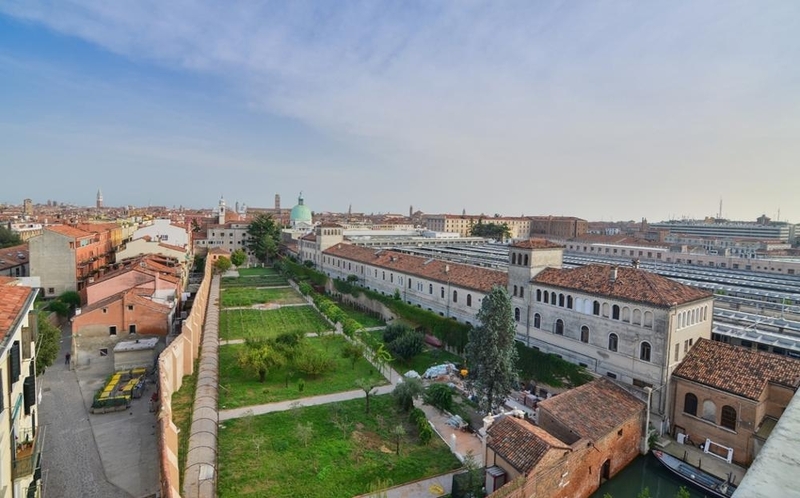 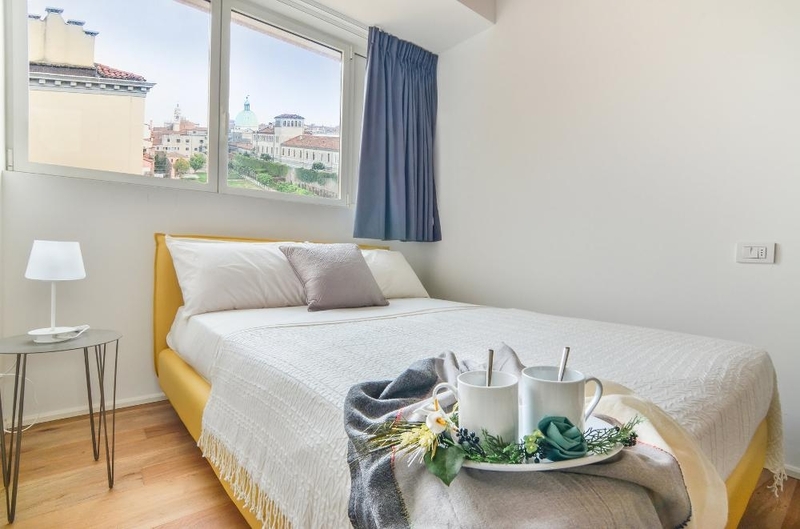 Wonderful panoramic apartment of 125 sqm on three levels, with three bedrooms, three bathrooms and a large terrace with double exposure, from which you can admire the view of the city center, till the bell tower of St. Mark. 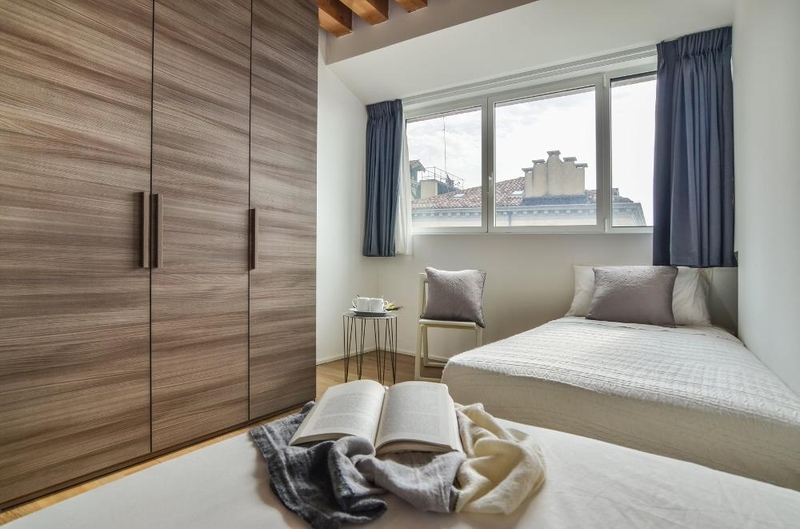 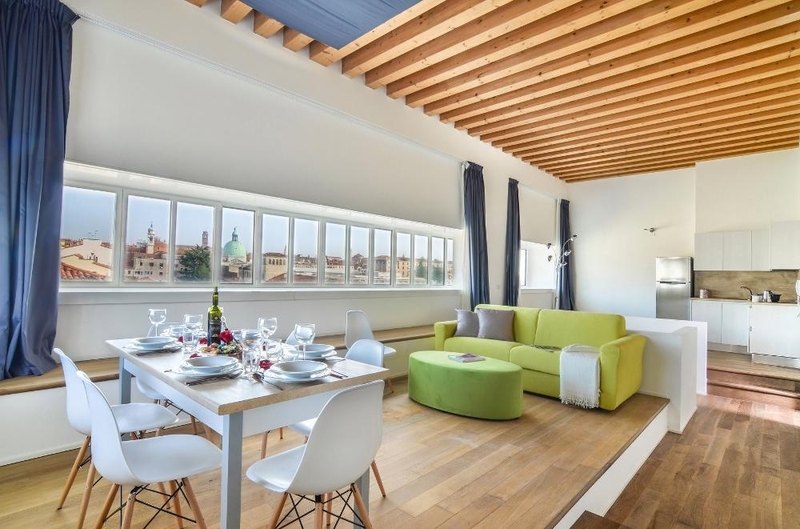 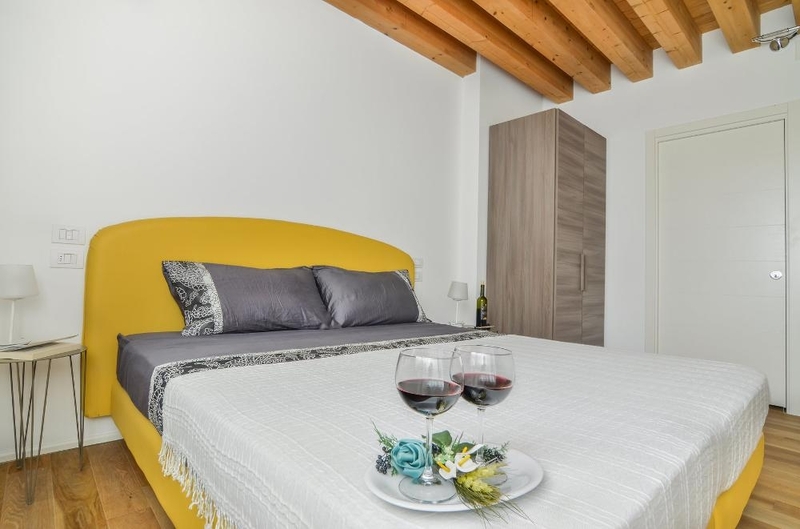 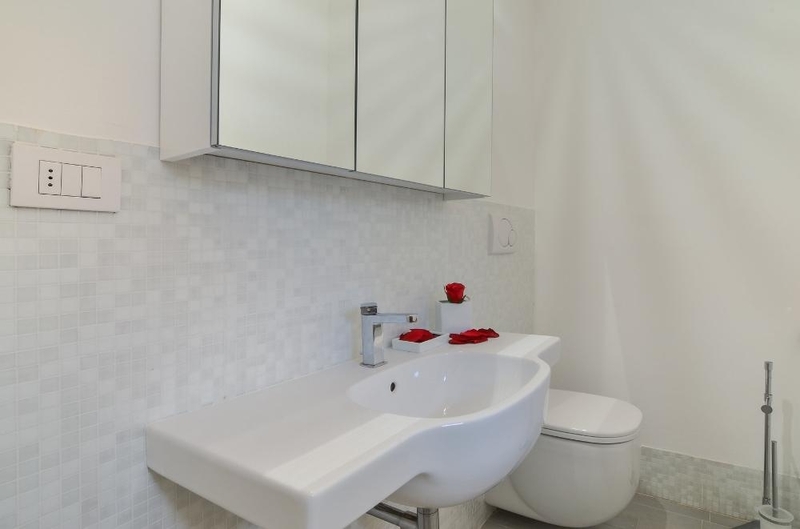 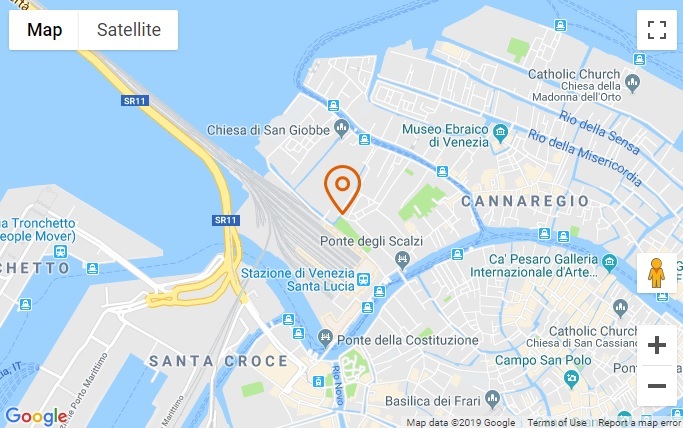 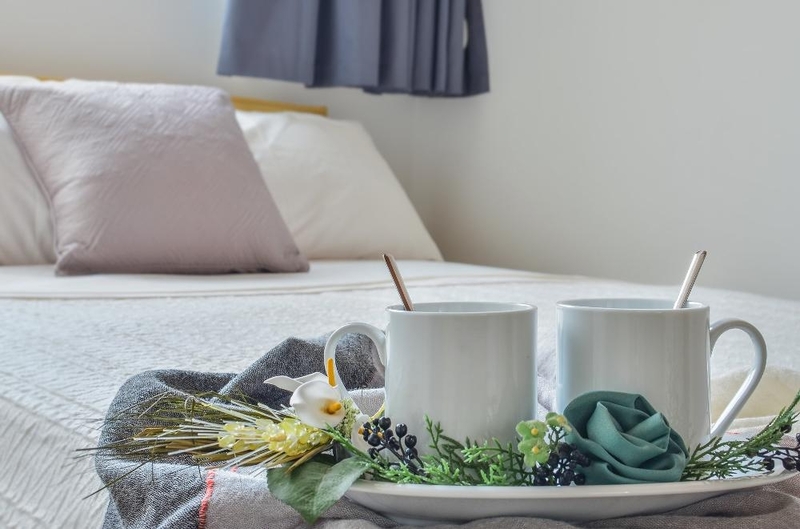 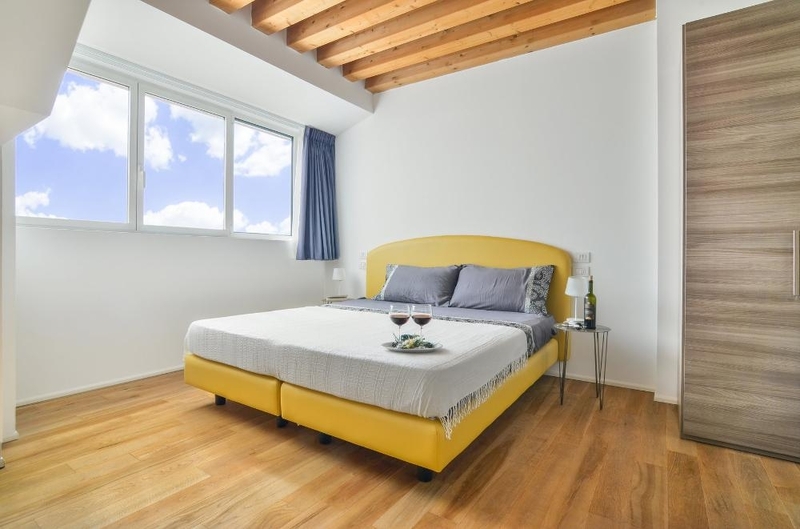 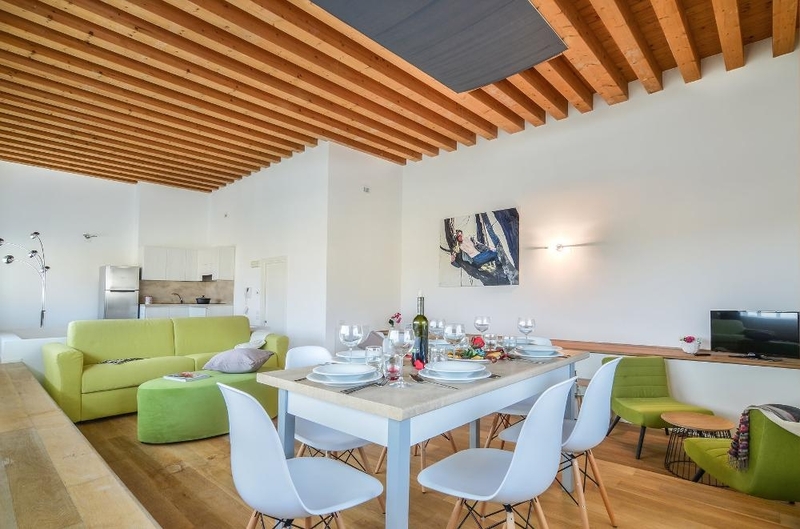 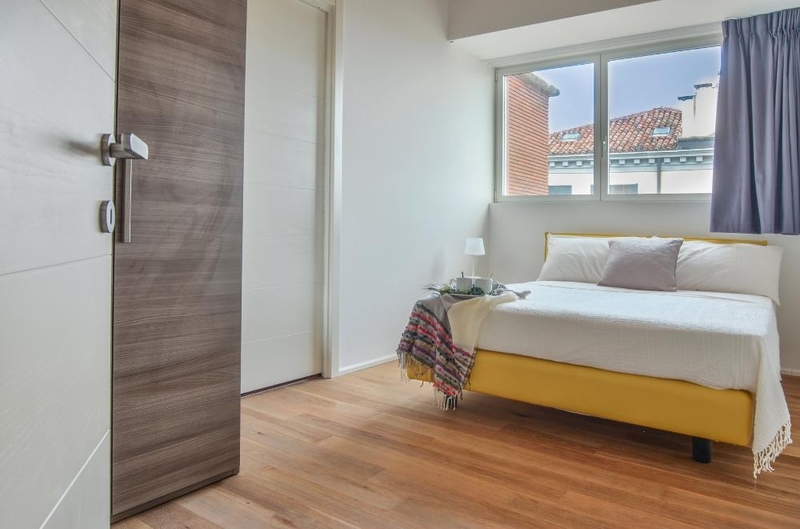 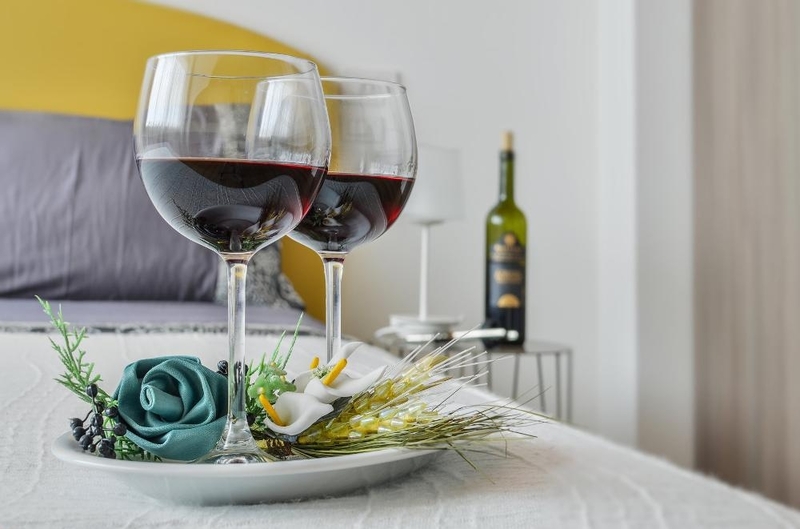 The building is in a perfect location, just a few minutes’ walk from the train station of S. Lucia and 20 minutes from the Rialto Bridge, overlooking a quiet side street in the Cannaregio district, close to the garden of Chiesa degli Scalzi. 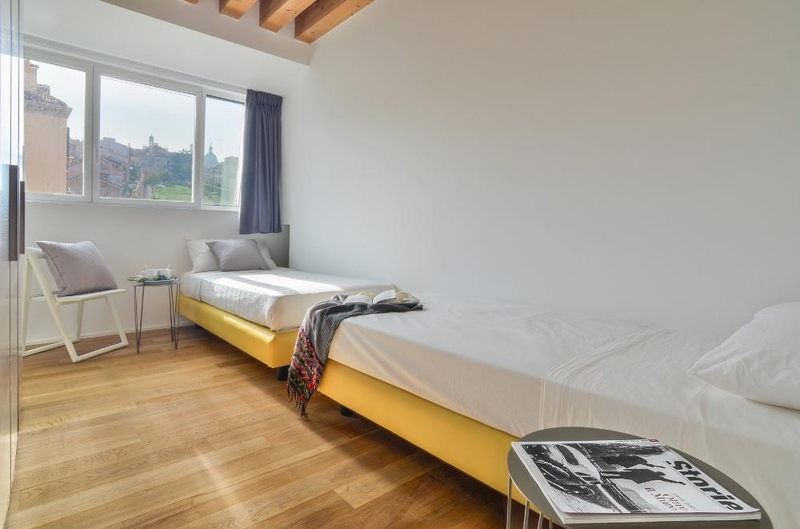 The building dates back to the 30s, but has recently undergone a complete renovation. 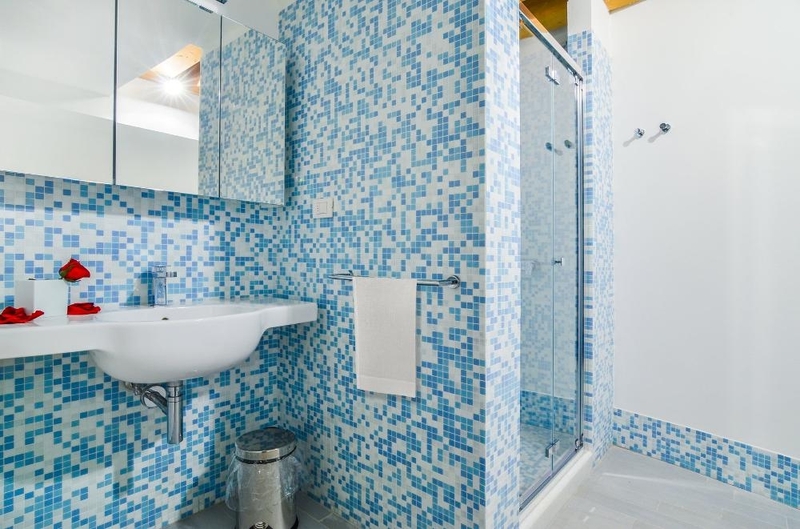 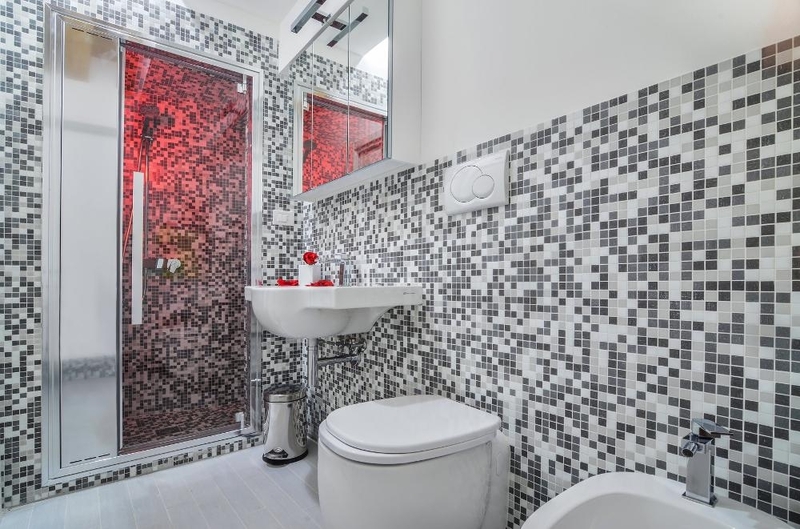 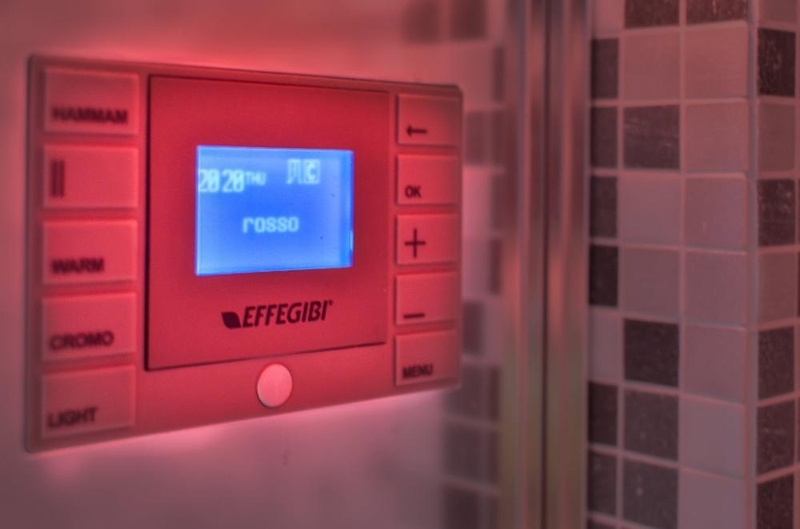 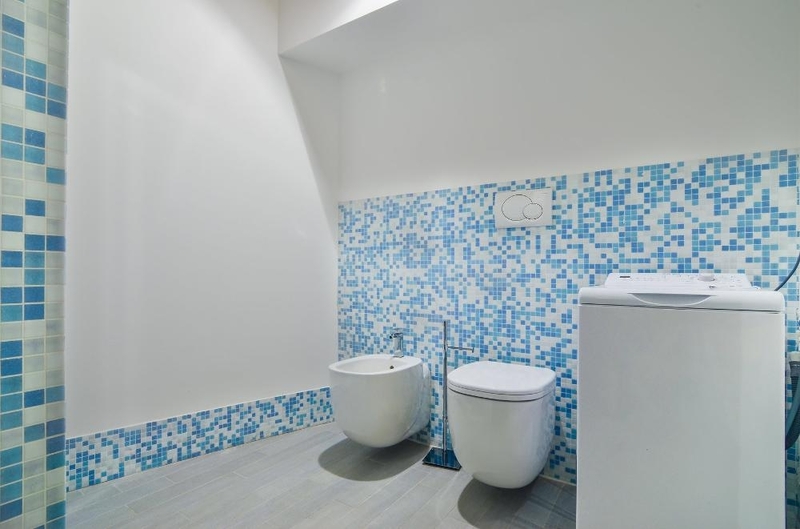 – a third bedroom with double bed and en-suite bathroom with a striking emotional shower including Turkish bath function. 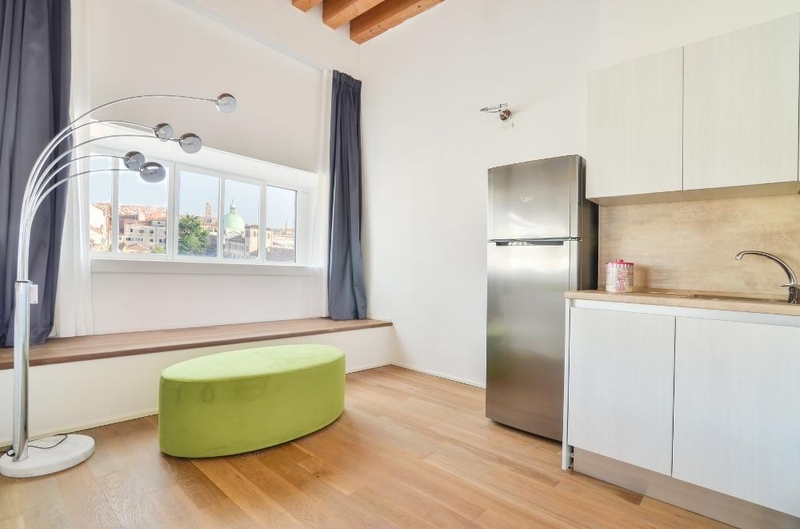 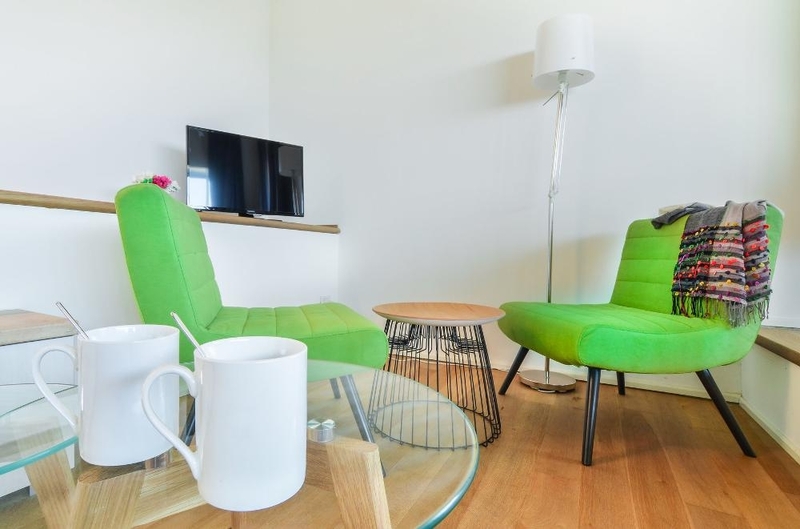 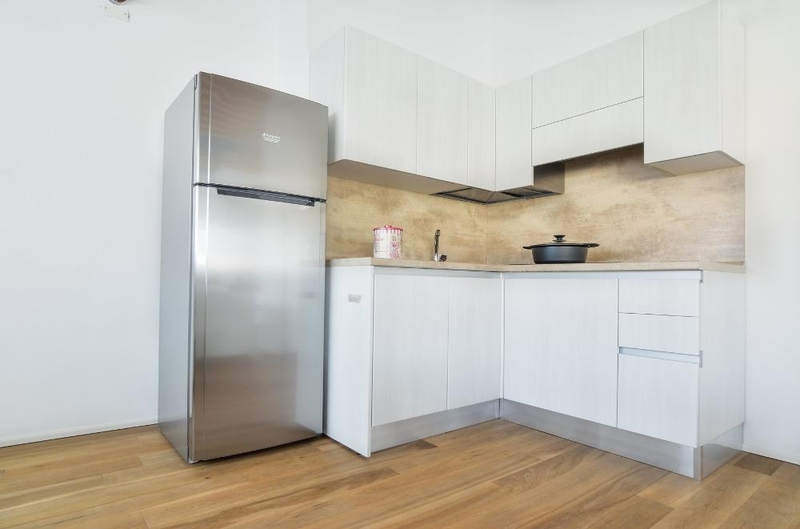 – a fully equipped kitchen with electric oven, microwave, dishwasher, coffee maker and kettle. 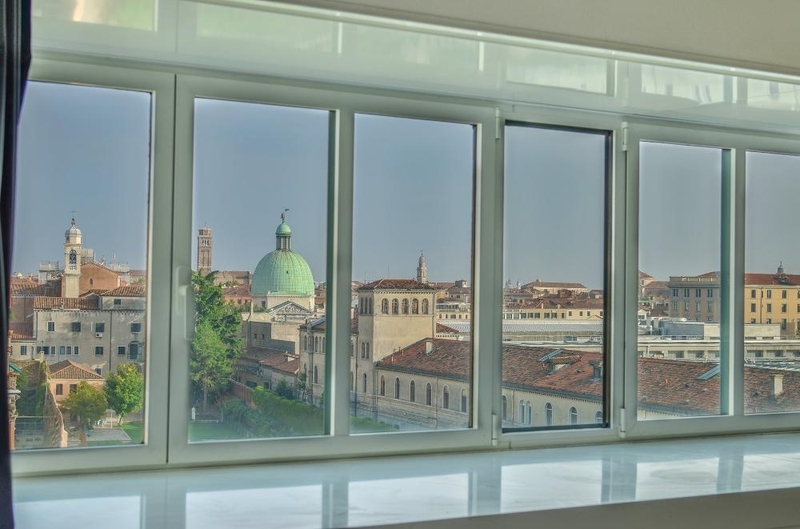 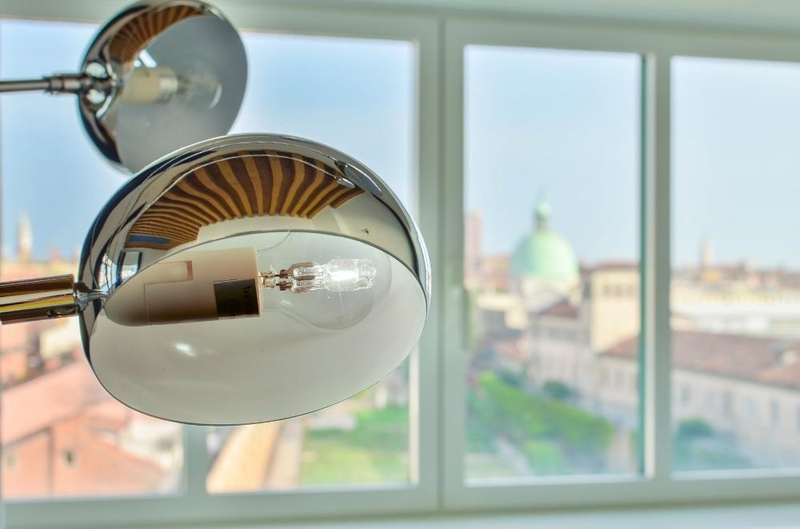 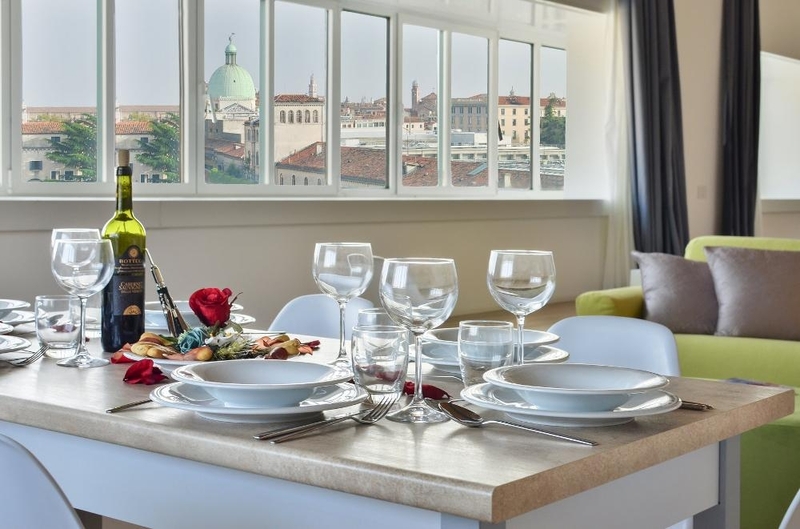 From the living room, through a first terrace, a staircase leads to the wide open terrace from which you can enjoy a beautiful view of the heart of Venice and the lagoon. 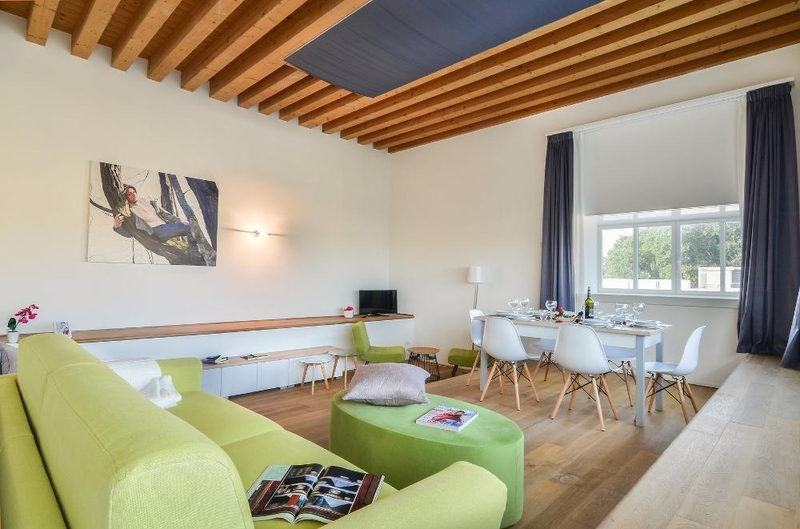 In summer it is equipped with table and chairs.